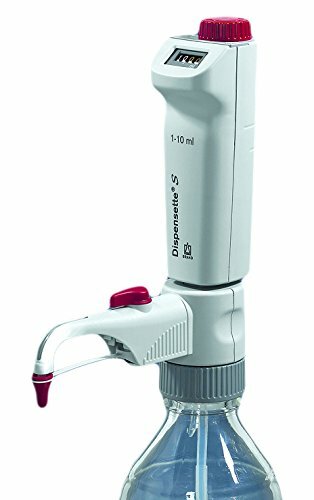 Pipette.com carries a large assortment of bottle top dispenser and burette makes and models for all your titration needs. 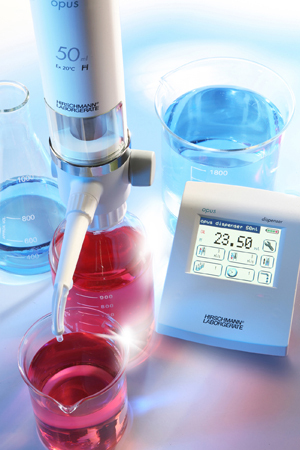 We carry market leading brands such as BrandTech, Eppendorf, Hirschmann and many other brands to help you find the right unit for your laboratory needs. The best way to dispense aliquots of liquid from large glass bottles or plastic bottles is to use a bottle cap or bottle top dispenser. 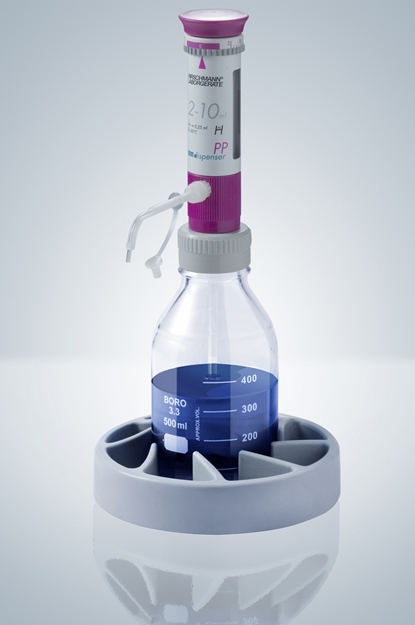 The requirements of such dispensers are clear and simple: they must be capable of reproducible dispensing, without wasting any reagent. 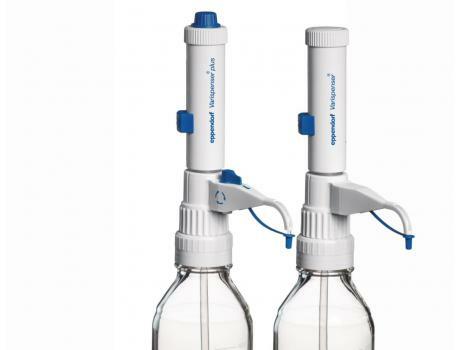 With mutlitple adapters to fit any sort of glass or plastic bottle utilized in the laboratory, a bottle top dispenser from Pipette.com will provide the best results for your lab. The bottle top dispenser you choose depends on your needs. Important factors to consider include the volumes you will be dispensing and the type of liquids you will be dispensing. Typical liquids you may need to dispense include strong acids and bases, saline solutions, organic solvents, trace metal free liquids, sterile media, etc. Another factor to consider is whether you want a manual or digital unit. Below you will find options available from both categories to meet your specific needs. Other bottle top dispenser options that vary between different models and brands include the method of liquid dispensing, price and added features such as analog or digital display, etc. You can also check out which models we currently have on offer below under the “Current Promotions:” section. 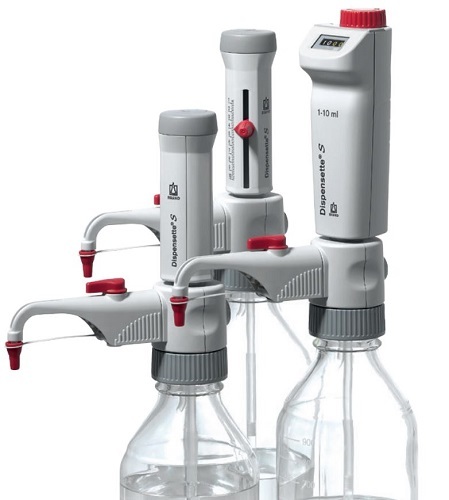 If you would like to aliquot small volumes, like 1 µL, we recommend using an electronic pipette or a repeater pipette. 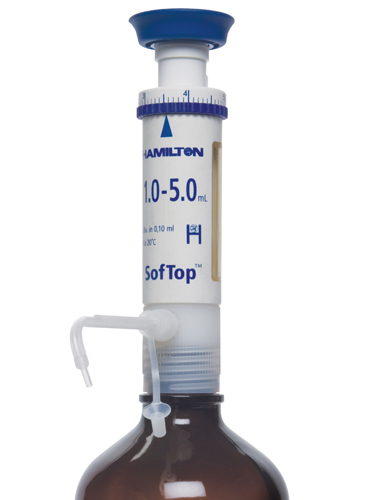 The Wheaton Socorex Calibrex 520 Bottle Top Dispenser brand has three color-coded models with adjustable volumes intended for working with volumes between 0.25 mL to 10 mL. 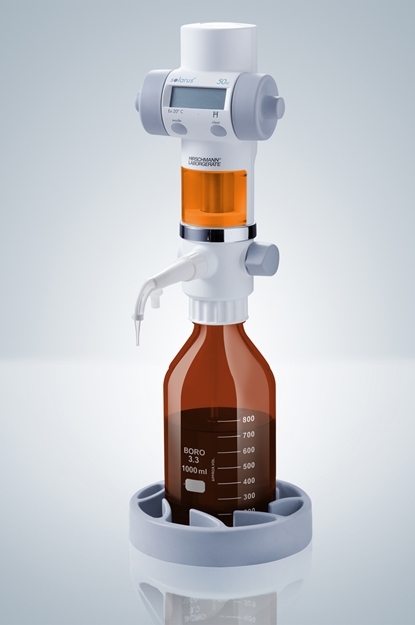 The Wheaton Socorex Calibrex 520 Bottle Top Dispenser achieves high quality by combining the latest technology, high-tech ergonomics and stringent manufacturing principles at the factory located in Switzerland. 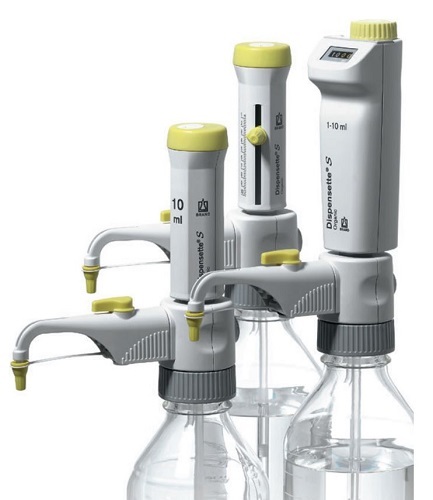 Socorex Acurex Compact 501 Low Profile Dispenser is ideal for safe reagent handling, adapted to refrigerator storage as well as water bath heating. 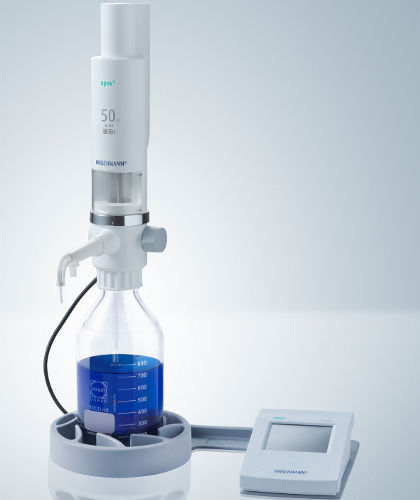 The Socorex Acurex Compact 501 Low Profile Dispensers have a volume range from 0.2 mL to 30 mL. Nichiryo AccuPenser Jr. Bottle Top Dispenser is an adjustable volume bottle top dispenser. 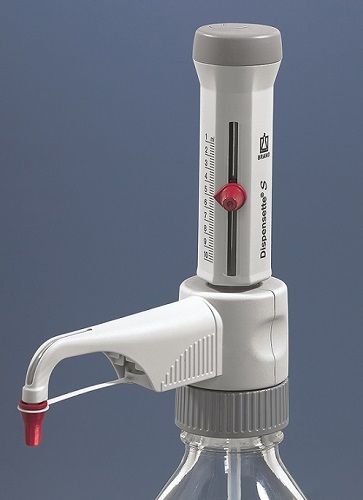 The dispensing mechanism of the Nichiryo AccuPenser Jr. 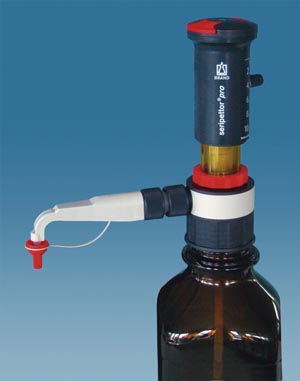 Bottle Top Dispenser is chemically inert, permitting use with all liquids except hydrofluoric acid and other strong acids. The Nichiryo AccuPenser Jr. 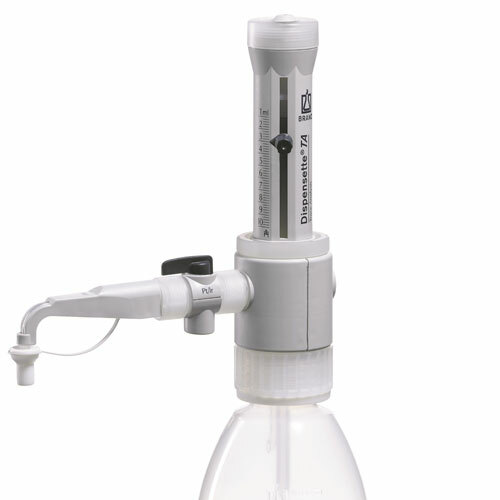 Bottle Top Dispenser is autoclavable without disassembling the unit first. 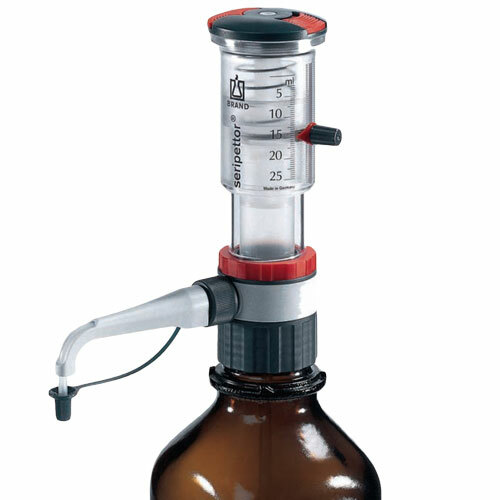 The Nichiryo Dispet EX Bottle Top Dispenser is the ideal bottle top dispenser for your lab. 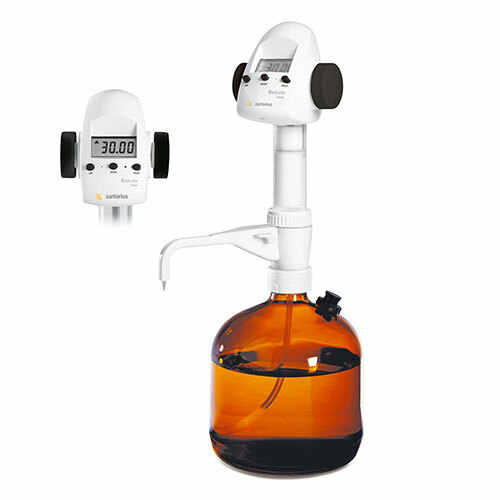 It is available with 3 different sized adapters, allowing it to fit with various different types of bottles from which you may want to dispense liquid. This provides the user with a lot of versatility from one unit.